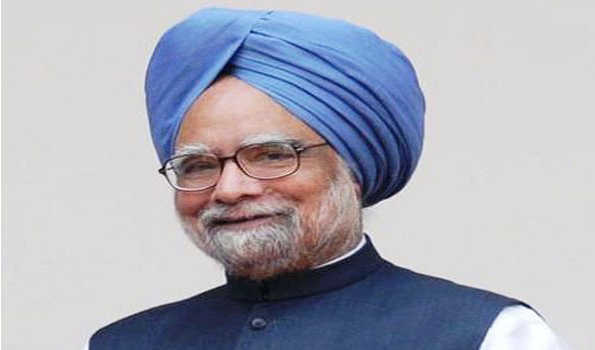 New Delhi: Responding to those labelling him as the 'silent Prime Minister', former Prime Minister Manmohan Singh on Tuesday stated that he had never been afraid of speaking to the press although he did not brag about his goals are his achievements as the Prime Minister. He further said that I was not the Prime Minister who was afraid of talking to the press. I met the press regularly and on every foreign trip I had a press conference on return in the plane or immediately after landing?. 'Changing India' is a collection of Dr Singh's writings, speeches and the journey to public life, in five volumes. During the interaction with eminent Economist Kaushik Basu at the event, Dr Singh described how India paved the way for economic liberalisation when he was the Finance Minister and P V Narasimha Rao was the Prime Minister. Pointing to his appointment as Finance Minister under Mr Rao, he said he was Finance Minister just as he was an accidental Prime Minister, as people call him. Speaking at the book launch, Dr Manmohan Singh said that India had been immensely kind to him. ''Life has been a great adventure that I relished. I have no regrets. I i truly believe country has been enormously kind to me. I will never be able to repay for the great country that India is,''he said. On India's prospects, he said, ?despite all the hiccups and hurdles, I have no doubt that India will get its action right. Despite difficulties, this country is destined to be a major powerhouse. After the event, Dr Singh told reporters that he hoped the Reserve Bank of Inida (RBI) and the central government would find ways to work in harmony.The strong, independent Reserve Bank of India has to work in close cooperation with the centre?, he responded to the question on the tussle between the Narendra Modi government and the RBI.